When we were kids, and after our parents split up, our dad sold the house in Boulder Creek (a little town in the Santa Cruz Mountains previously mentioned in Mom Flips the Bird, and Cry Havoc). As soon as our house sold, something went terribly wrong and the house we were supposed to move into went away. This created a problem, but Boulder is a neighborly town so, instead of being homeless, we were offered the summer cabin of a nice family that lived next door. Summer cabin. It was January. Suffice to say, our new digs weren’t exactly designed for winter living in the mountains; the walls lacked even rudimentary insulation and there was no heat. We spent that winter much like our pioneer forefathers did…bitching about how cold we were and watching Dallas on TV while fighting for space around a kerosene space heater. We also played a lot of UNO. My job in the mornings was to break the ice on pet’s water bowls. It’s nice when kids have responsibilities. The only one in the family who didn’t notice the cold was a Samoyed. Plus side for MILK and Whiskey, we only had to play pioneer kids a couple nights a week, when we weren’t in the valley with Mom. Smokey was living the dream full time. Anyway, one Friday afternoon, dad grabbed us (and our overnight bags of fur coats and lard) from daycare, stopped at Wharehouse Video and Incompentence, grabbed a pizza and headed into the mountains for another weekend of fun with additional small voices bitching about the cold. At nightfall, when the adults let the kids and dogs back into the house, dad popped open the VHS case of classic Looney Tunes and discovered that it contained the slightly less hilarious film Poltergeist, instead. Those wacky video clerks had done it again! Uncle Smokey and I were thrilled. Actual horror. And a new release (those cost, like, 50 cents more!) at that. We would be the envy of our respective elementary schools. Dad and the stepmom hesitated, to their credit. It was only rated PG, but MILK was 5. They looked at the boys, vibrating with anticipation. And then they looked at MILK. Parental Guidance being a pretty vague (and, frankly, not well understood concept in our house), they decided to let it roll. They told MILK to let them know if it was too scary and they would turn it off, but she couldn’t speak due to being frozen in abject terror so she watched the whole thing, while quietly strangling a pillow in her lap. Have you seen Poltergeist? MILK was a little blonde girl about the same age as the girl in the film, and we lived in the woods with a large tree outside our bedroom window that often scraped the glass. Basically by the time the film ended, MILK had realized there was no way in hell she could be in her bedroom without a 90% chance of getting sucked into the closet. To be honest, it was pretty scary for Smokey and I as well. I don’t know if MILK had gotten the speech or had just completely internalized the “don’t tell mom” mantra, but she didn’t say a word to the adults. She lay awake in bed, staring at the ceiling and quietly weeping until a branch scraped against the window. She shot up, ghost pale and looked at us, which was a little scary in itself for us boys. The evil in the movie was after the little girl, not the other kids, so MILK was like chum in the water. Then “li’l ghost bait” ran across the room and dove into the bed Smokey and I shared. We all enjoyed our new hobby of staring at the closet until dawn. For the next few months, no one slept alone. An unexpected bonus of the arrangement was that no one died of hypothermia, either. Three bodies plus all the blankets in the room meant, for the first time since moving into the hovel, we all slept warm. Later, and thankfully after we’d moved out, the house was swallowed by some kind of mysterious vortex. What was the first movie to keep you up at night? When we were small, ‘The Twilight Zone’, was new on tv and of course we all gathered around the set on the designated night to watch. I remember not being able to sleep because of some of those shows twirling around in my mind! Now that I view those same shows 45-50 years later I wonder what all the fuss was about! They were pretty lame compared to what’s out there now! My son laughs at the first ‘King Kong’ movie that had his dad hiding under the seats at the movie theatre! I’ve always been a total wimp when it comes to the scary stuff, but for whatever reason I watched Freddy Kruger as a kid and lost all sense of security my parents spent years building up in me through love and food. You have no idea how hard it was to even type his name! That evil almost ruined pizza for me. Ha! That one got to my brother, too. That movie was terrifying…didn’t ruin Johnny Depp for me, though. 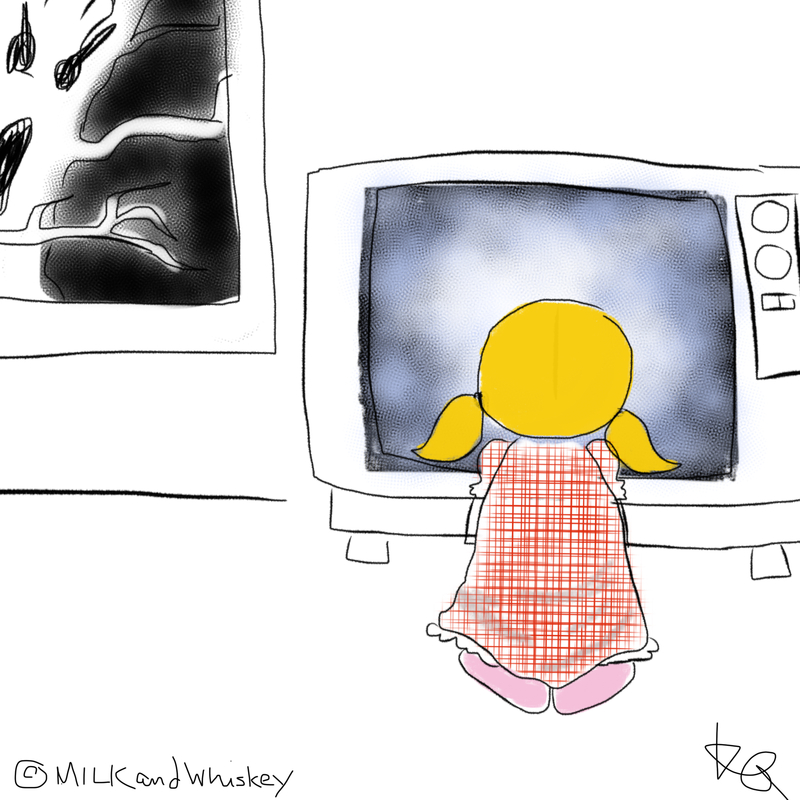 I watched Poltergeist as an adult. It scared the crap out of me. My god, the horror of discovering your house sits on top a cemetery. Good grief! The title claims, the lawsuits, the EPA compliance reports, the permits, the variances. Make it stop!! Hell, take the kid…… Just make it stop!! perhaps they should have included an endangered animal nesting nearby – just to drive home the horror.